This is a last minute call :) We would like to invite everybody interested to get to know Open Buoy, the open source, low cost, development of an environmental research station/vessel for the waters. We brought it all the way from Germany to test and work on it - out here in New Orleans wetlands - over the next two months. We are interested in finding out about useful applications in this local environment and would like to implement some of Public Labs great technologies i.e.. Balloon Mapping and near infrared Photography, water quality analysis? This is community generated technology, so it would be great to get you and your expertise involved! Who is out here in New Orleans and would like to meet? 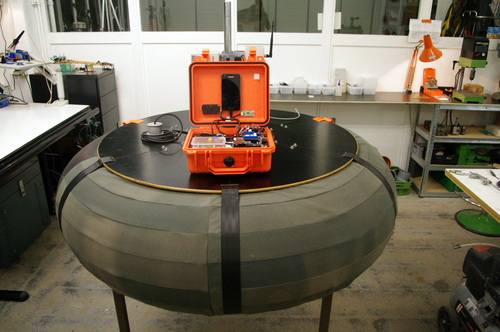 We want to test drive and navigate the buoy in the wetlands and integrate more adequate low cost sensing equipment. You are cordially invited to meet A Studio in the Woods' newest resident artist, Sebastian Muellauer, and learn more about his residency project. Sebastian is one of the five artists selected as part of our 2013-14 Ebb & Flow: Dialogues between art and water series which explores the ecological challenges exemplified in Southern Louisiana. Click here for map and directions: http://asitw.org/about_map.htm Please note that parking is limited, save on gas and carpool with a friend! This is a potluck, we will provide the main dish but ask that everyone pitch in a little something - drinks, salad, appetizer, dessert... Please email to info@astudiointhewoods.org and let us know what you plan to bring. Sebastian Muellauer is a native German/Austrian Creator working in the intersection of Design, Technology, Nature and human intervention. He studied Man and Living at the Design Academy in Eindhoven and received a diploma with distinction in industrial design from the University of Arts – Burg Giebichenstein in Halle. He is currently based in Berlin where he founded the AutonomousSystemLaboratory, being part of the SUPERKUBUS. eV, an association and platform for development and exchange between Art, Design and Science. During the past years he was internationally working on community generated technology, ie. PROTEI, an open source Sailing Drone and TAKU, a mobile lab for living, work and research. His work has been internationally exhibited ie. Arco(SP), Ars Electronica (AU), TEKS – MetaMorf (Norway) , Transnatural Festival, V2_ Institute for the Unstable Media and DEAF (NL). 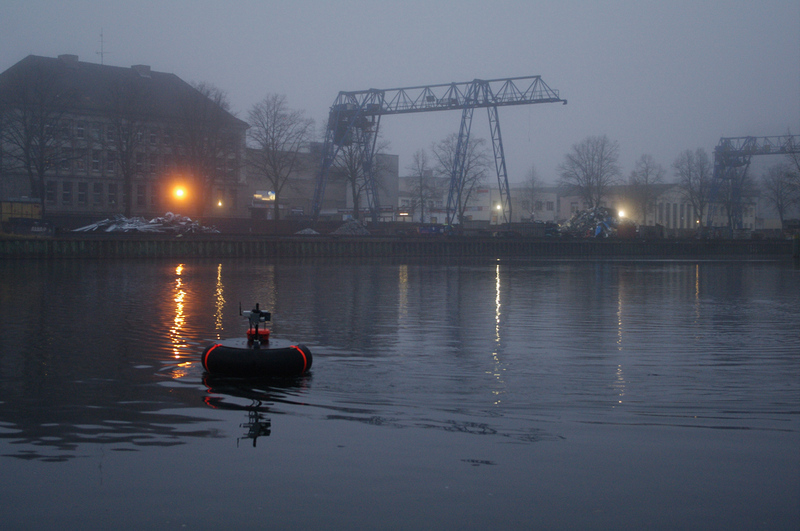 Open Buoy is a modular, open source vessel which serves as a freely accessible, experimental platform for Scientists and Artists to host their technology to monitor and sense water systems, on bayous, rivers, lakes or the ocean. The vessel is an open hardware design, built low cost, using hacked consumer electronics to replace otherwise expensive research instruments. It is collaboratively developed and aims to implement the users eventual research interests, for example coastal documentation, water quality analysis, or accustic recording, to name a few. By developing it incrementally and reacting to site specific requirements, the buoy shall grow naturally and help to learn and discover different topics and potential applications of such a floating platform in particular areas. Ebb & Flow is a 5-week residency based on the premise that Southern Louisiana can be seen as a microcosm of the global environment, manifesting both the challenges and possibilities inherent in human interaction with urban and natural ecosystems. A Studio in the Woods, located in the Louisiana wetlands, has observed firsthand the dynamic nature of this rapidly changing territory which in turn affects the entire northern hemisphere. We envision this as a powerful context for the exploration of critical thinking, the development of new ideas and strategies, and using the creative process as a catalyst for social change. Ebb & Flow Residencies are sponsored thanks to generous support of The Surdna Foundation and The National Endowment for the Arts. This program is supported by a grant from the Louisiana Division of the Arts, Office of Cultural Development, Department of Culture, Recreation and Tourism, in cooperation with the Louisiana State Arts Council. The grant is administered through the Arts Council of New Orleans. The Artists-in-Residence program is supported by a grant from the New Orleans Theatre Association (NOTA). A Studio in the Woods is supported in part by The Keller Family Foundation, The Joe W. and Dorothy Dorsett Brown Foundation, and a grant from the Louisiana Division of the Arts, Office of Cultural Development, Department of Culture, Recreation & Tourism, in cooperation with the Louisiana State Arts Council, and the National Endowment for the Arts, a Federal agency.